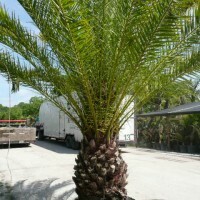 As a young tree, Canary Island date palm is a popular choice for a large, tropical appearance in the landscape. 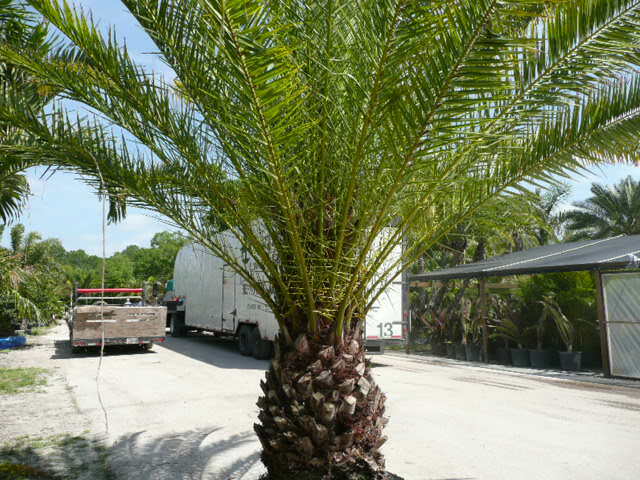 Young trees need plenty of room, but are widely adaptable and extremely hardy. As these trees mature, they take on a formal appearance, and the robust trunk is highly regarded for its ornamental appeal.